Place nectar-heavy plants around your property – Hummingbirds and butterflies love nectar. Plants that are rich with nectar act as magnets for these creatures. Add butterfly bushes, marigolds, sage, verbena, and zinnias to your flower beds and you’ll start to have these graceful visitors by the dozens! Provide shelter that includes water features – Hummingbirds and butterflies both like areas where they can find shelter from the sun and from predators. They’ll also need water from time to time. Shady spots, fountains, and birdbaths are all attractive to these winged friends. Avoid using pesticides – While pesticides are great for keeping pests away from your plants, they also deter hummingbirds and butterflies. They could even cause them harm. Create a safe living space for wildlife by using the right pesticides this spring. 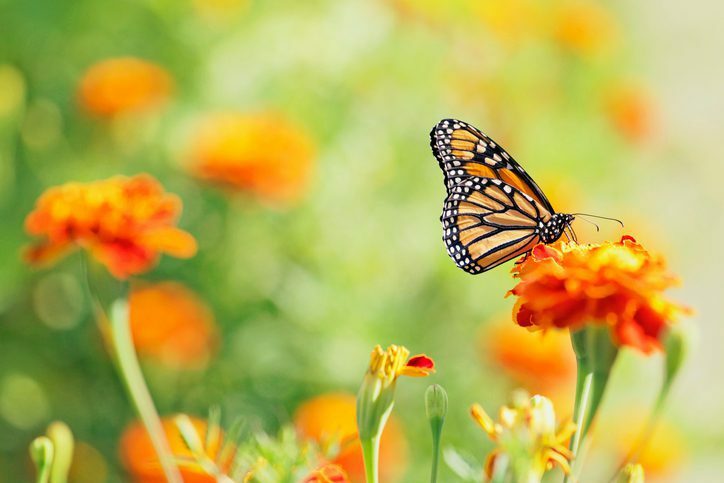 If you’re interested in attracting butterflies, hummingbirds, and other wildlife to your property, call Rolling Hills Nursery & Landscaping in Rock Hill, SC today. We’ll help you choose just the right plants for your yard.